Peel your lemon wedge, then peel the mangoes and cube. 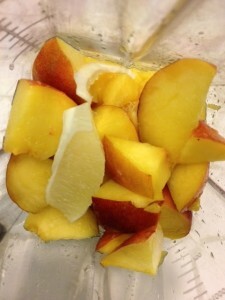 Cut up the peach and add to blender. 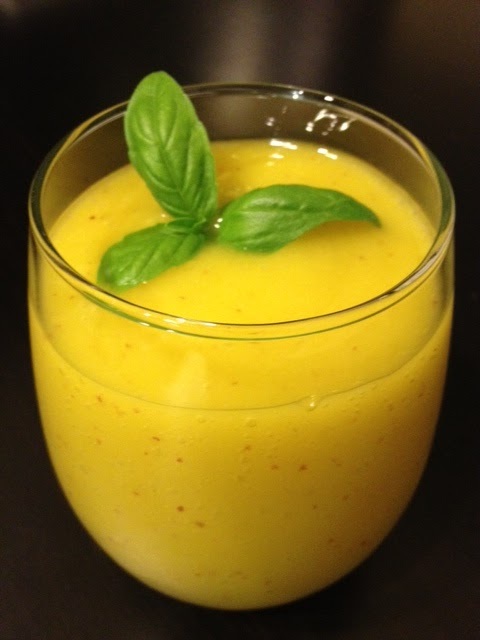 Puree the mangoes, peach, lemon and basil in your blender on high. Once pureed, add the ice and blend until smooth. Now add your vodka and triple sec and mix on low for a few seconds to blend evenly. Serve and enjoy! Garnish with additional basil leaves, if desired. This made about 3 servings. And it counts as a fruit serving, right? ?